Dr Andreas A. Andreadis was born in Thessaloniki, Greece in 1953. He graduated as a Civil Engineer from the Aristotle University of Thessaloniki and has a Ph.D. from the University of London (UK). 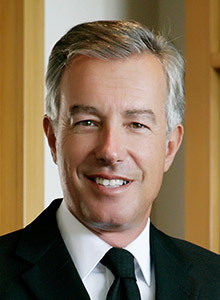 He is the CEO of Sani/Ikos Group which owns and operates Sani Resort and Ikos Resorts, Greece. From 2011-2017, Dr Andreadis was President of the Board of Directors of SETE (Greek Tourism Confederation), the institutional social partner of the Greek government in the tourism sector. SETE is the institutional social partner of the Greek government in the tourism sector, has as members 14 national associations (Hotels, Apartments, Travel Agents, Airlines, Ferries, Cruise Ships, Marinas, Rent a Car, Yachting etc), as well as 500 individual enterprises operating in the wider tourism economy. In total, SETE represents over 50.000 enterprises with over 350.000 employees. During that same time (2011-2017), he was President of Marketing Greece S.A., a non-profit organization created by SETE, officially promoting the Greek travel industry in cooperation with public and private institutions as well as INSETE, (SETE Institute). INSETE aims to provide SETE with Greek tourism research findings and statistical data and develop the sector’s standards as far as quality, skills, education and training is concerned. Dr Andreadis also served on the Board of Directors of the Bank of Greece for 3 years (2013 - 2016). Previously, from 2006-2011, he was President of the Board of Directors of the Hellenic Hotel Federation.